Assisted suicide is antithetical to liberal values. Charles Camosy wrote an excellent article concerning the assisted suicide bill in New York that was recently published in the New York Daily News titled: Assisted Suicide vs liberal values. Camosy begins his article by describing the personal story that Assemblywoman Amy Paulin (D) says led to her supporting assisted suicide. Camosy acknowledges the pain that has led many people to support assisted suicide, but he argues that this compassion leads to unintended consequences. No one can be unmoved by such stories. Those who support physician-assisted suicide do so out of place of deep compassion for vulnerable, suffering people. But most people who honestly contemplate the long-term consequences of this legislation realize that legalizing the practice does the opposite of what is intended. Such was the case in 2012 when Massachusetts had assisted suicide on the ballot. Polls indicated overwhelming support — only 19% wanted it to remain illegal. But as the people of the commonwealth began to study and understand the issue, support began to fade. Camosy then explains why assisted suicide is not a liberal issue. That’s why the wife of the late U.S. Sen. Edward Kennedy, Victoria Kennedy, claimed that passing assisted suicide in Massachusetts would insult the memory of her husband. Physicians’ groups and disability rights organizations also let the public know they didn’t want to legalize this form of expedited dying. The results were astonishing. In just a few months, Massachusetts progressives turned the polls around and defeated the ballot measure. The reasons far more likely to be about not wanting to be a burden on others. But there is absolutely no way to control the reasons why anyone requests assisted suicide. Which leads to impossible questions: What’s the basis for limiting it to those who will die in six months; why not six years? Why need one be dying in the first place? We are told in other medical contexts, after all, that the state is not to get between a patient and her doctor. Think this is too dramatic? Consider the Dutch, who also highly prize freedom and autonomy, and have had euthanasia for several decades now. They first limited it to cases of “hopeless and unbearable suffering,” but just a few years ago, an otherwise healthy woman was killed via assisted suicide simply because she was losing her eyesight. We can see the beginnings of a similar slippery slope in Oregon, where doctors have seen assisted-suicide drugs kill depressed patients. On other issues, liberals rightly focus on how laws affect vulnerable populations. Liberals in Massachusetts worried that older people, already thought to be a drain or burden in a culture which worships youth and capital production, might be pressured to consider assisted suicide. Those of us with progressive philosophies must instead unequivocally affirm the goodness of the existence of the old and sick. Especially when our consumerist culture tells them they have no net value. Given our American obsession with autonomy and freedom, this slope can do nothing but get even more slippery. Charles Camosy is an associate professor at Fordham University. 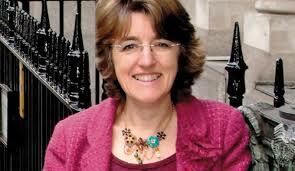 Assisted suicide: An issue that loses its appeal when it is understood. Netherlands review committee says euthanasia without consent on woman with dementia was done in "good faith." A Netherlands Regional euthanasia Review Committee has decided that a forced euthanasia done on a woman with dementia, where the doctor sedated the woman by secretly putting the drugs in her coffee, was done in "good faith." The committee chair is also urging that the case be reviewed by the court, not to punish the doctor, but to set a precedent concerning these acts. It (the paperwork) also revealed that the patient said several times 'I don't want to die' in the days before she was put to death, and that the doctor had not spoken to her about what was planned because she did not want to cause unnecessary extra distress. She also did not tell her about what was in her coffee as it was also likely to cause further disruptions to the planned euthanasia process. The Review Committee concluded that the doctor 'has crossed the line' by giving her the first sleeping medicine, and also should have stopped when the woman resisted. The review committee determined that the woman's declaration in her will did not clearly state that she wanted to be euthanized after being admitted to a nursing home. The words "when I myself find it the right time" does not take into account a situation in which the woman was no longer mentally competent. The committee can understand how the doctor read it as a well-considered wish, but still feels that it was too broad an interpretation. The committee also concluded that the doctor "crossed a line" by giving the woman the first dose of sedative secretly - hidden in a cup of coffee. And that the doctor should have stopped at the woman's movements at the end. Even though it is possible that the movements were purely physical reactions, it can not be certain. 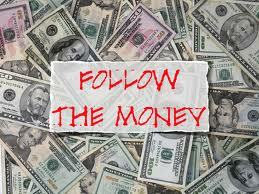 Purchase the Euthanasia Deception documentary. The Regional Review Committee found that it was done in "good faith." The Regional Review Committee wants the court to hear the case to set a precedent approving the lethal injection of people with dementia, who cannot consent. As I have said in the past, euthanasia is out-of-control in the Netherlands. Charles Lewis: Join us in opposing euthanasia and assisted suicide. By Charles Lewis, EPC board member. Last June, I was invited to speak to a Catholic parish north of Toronto. It was my 56th talk though this one turned out to be different. First off, it was the largest crowd I had spoken to – close to 400 showed up. It was heartening but also bitter sweet. The day before my talk, Parliament did what I always hoped would never happen in this country: it made euthanasia legal. I felt a combination of anger and nausea. Then I realized that I had to suddenly come up with a new talk. The law was now a reality but up until that point I never thought of what I would say once euthanasia became a reality. 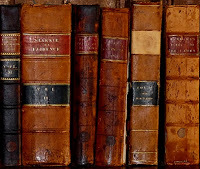 Every talk prior that summer morning had been intended to push the government to delay making euthanasia legal through the notwithstanding clause – a constitutional safety valve to delay controversial Supreme Court of Canada decisions. So I told the crowd that we were in new territory -- that from here on in we would have to realize that no political party was going to save us. We were on our own and that would be the reality we would have to deal with. I also said that no matter how safe the pro-death side claimed the law to be it would be loosely interpreted and eventually formerly expanded. I spoke about the lack of good palliative care in Canada and the need to keep lobbying for more. After that talk I decided to take a break. There was something about speaking about euthanasia day after day that effected my soul. I also wanted to deal with personal health issues and to start to think seriously about what I would say now. Most of us who do this work are learning as we go. I continued to write about the issue and when anyone would ask me about my opposition I would gladly explain it; and when someone asked me whether I thought the battle lost I would say no. Then a few months ago I realized it was time to jump back into the fight. I wanted to make sure I learned from the past few years in order to make these life-saving talks more effective and to reach the maximum number of people. So I created a group of eight people utterly committed to the cause of warning people of the dangers of euthanasia. I say “I” created the group but we are all equal partners in this. Some, like Moira McQueen, the director of the Canadian Catholic Bioethics Institute have been doing this long before I came on the scene. Anyone who wants a speaker in the greater Toronto area should email Charles Lewis at: charleslewis@rogers.com"
We had our first meeting in early January. The only qualifications for joining were an absolute opposition to euthanasia and a desire to help people opt for life instead of suicide. While speaking is important there was the other main duty of letting everyone each of us knows that there are now speakers available and arranging an event is easy. You can also join the Euthanasia Prevention Coalition. Since I am semi-retired and have the greatest free time of others in the group I became the hub. Each person in the group lets me know when they are speaking and I in turn let the others know. This means we are all not lobbying the same parishes and groups. It also means we can attend the talks of others. I am convinced this is important because each person brings something new to the anti-euthanasia argument. And none of us should be above using effective arguments that we had not thought of before. I am in charge of gathering literature and delivering it to others to distribute at their talks. The group is already bearing fruit. Ephraim Radner, a professor at Wycliffe College and a group member, has already organized a seminar for students and St. Augustine students on the afternoon of Feb. 8 at Wycliffe. We are also helping Alex Schadenberg set up an evening at St. Michael’s College, at the University of Toronto campus, at which the film The Euthanasia Deception will be shown followed by a panel discussion. The date is to be announced. In terms of arguments we are making that still is up to the individual and for some of us a work in progress. Last week I gave my first talk since last June. I gave my audience a brief background about how we go here. I then talked about how the law as written is not safe but open to interpretation and that from June to the end of the year 784 Canadians have died via the needle or some poison cocktail. I also noted that in December Health Canada struck a committee to look at expanding the law to include teenagers and those suffering from mental illness. Finally I gave some ideas of what each person needs to do. Since I was speaking at a Catholic parish I suggested that a point person, or two be in charge of finding out whom in their faith community was struggling with severe illness. Then to ensure those people, especially those suffering alone, received visits and help with such things as meals, picking up drugs at the pharmacy and medical visits. I’m of the belief that someone who feels loved and taken care of is less likely to take the euthanasia route. I also said it was time that everyone begin to understand the dangers of euthanasia. And that it was important to fully understand the position of the pro-euthanasia side in order to more effectively respond. 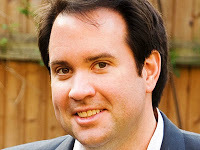 Charles Lewis is a Toronto speaker and writer. His columns appear twice a month in the Catholic Register. The researchers found that the Canadian healthcare system will save between 34.7 and 138.8 million dollars per year, depending on the number of euthanasia deaths. Canada has a universal healthcare system, whereby the financial cost for healthcare is primarily covered by the government. The cost savings were assessed based on a Netherlands study estimating the number of weeks that lives were shortening by euthanasia, multiplied by the average cost of care for a person nearing death, and multiplied by the likely number of euthanasia deaths in Canada. The study also considered the cost of the euthanasia procedure and potential variable costs related to patients using palliative care. The researchers emphasize that they are not encouraging people to die by euthanasia, but in fact, this type of research creates social pressure for people to die by euthanasia. First: Associating euthanasia with medical cost savings creates a belief that euthanasia is a social good. People who feel that their life has lost value may now consider it altruistic to "choose" to die by euthanasia. "I will give back to society by having my life ended and save money." I fear that the social pressure to save money and provide a greater access to organs for donation will become the ultimate form of social responsibility. Second: Associating euthanasia with medical savings creates pressure on people who choose to live until they die. "How dare you choose to live. You are costing society money." By promoting the concept that euthanasia saves money coupled with the media stories and TV shows, such as Mary Kills People, creates a new powerful social pressure to die. Last weekend I was invited to speak to a group in a small Ontario community. After my presentation a man told me that he supported euthanasia based on his experience with his mother-in-law who lived the last few months of her life, after having a stroke, lacking awareness. He asked me, what was the purpose for her life? He then said: how much did her care cost the government? I guess euthanasia is not about "choice" or "autonomy," she was unable to choose, but rather killing people at the most vulnerable time of life. During Canada's euthanasia debate very few people were speaking about the fact that Canada's health care system is facing a financial crunch. The reality is that killing people is cheaper than caring for them. The authors of this study suggest that the financial savings gained from premature deaths by euthanasia could be re-invested into palliative care. The authors of this study are naive. The more that people die prematurely by lethal injection, the less demand will exist for palliative care. Dead people don't need palliative care. The Daily Mail news reported that a British Psychiatrist, who had lost his medical license, approved the assisted suicide deaths of six people with dementia. Sanchez Manning reported that Colin Brewer, who is no longer permitted to practice medicine, told the Daily Mail that he had done mental capacity tests on six people with dementia, before approving their suicide deaths in Switzerland. None of the six people were terminally ill.
‘You don’t know how the disease [dementia] might or might not progress. ‘Some people may be frightened and may be in despair. Brewer ran an addiction clinic in London before he was struck off in 2006 by the General Medical Council after a patient for whom he had prescribed drugs died. He can see and assess patients offering non-medical services as long as he makes clear that he is not on the medical register. Yesterday, after speaking to a group, one of the attendees told me that he supported euthanasia for incompetent people. He said that when his mother-in-law was nearing death, she became unaware of her surroundings. He asked me, what was the purpose of her life? and then he said - How much money did it cost the government to care for her? sadly, your comments tell me that history may repeat itself. Killing is never the solution to human problems. We support caring options, not killing. Noreen Campbell chose to end her life by means of physician-assisted suicide, as was her right under Canada’s new law. Since that law was passed, more than 744 people have also chosen to end their life this way. But apparently Campbell’s dying wish was that even more people would avail themselves of this new right. 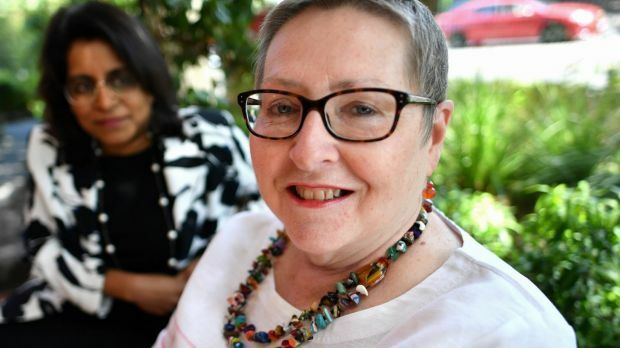 She wanted her story about ending her life to “open the door for others” and “draw attention to the gaps she saw in the process,” because, as a member of the assisted-suicide advocacy group Dying with Dignity, she felt the law doesn’t go far enough. The ease with which she embraces killing as a good solution to suffering is simply appalling. Her opinions about why people should go the same route as she did contributes nothing new to this discussion — it’s all about fearmongering and undermining people’s expectations about what palliative care can achieve. According to her, taking a lethal injection is preferable to the alternatives, and promoting this idea is an insidious form of coercion that will only result in more needless premature deaths, and an increasingly callous approach to people who might be suffering near the end of life. Previous article on this topic: How many people have died by euthanasia in Canada? I'm terminally ill and the euthanasia debate scares me. 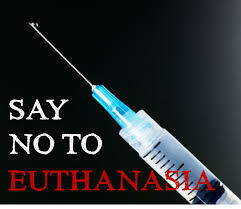 New South Wales Australia will soon be debating the legalization of euthanasia. 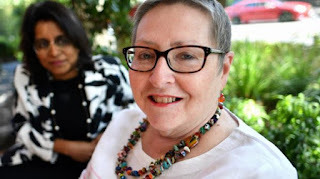 At least one terminally ill woman, Julie Morgan, says that the euthanasia debate worries and scares her on several levels. the past four years have given me a unique window into the complexity of death and dying, of living and loving, and of holding on and letting go. The doctors have told me I have a few months to live. The cancer that began in my breast four years ago has spread to my spine, ribs, hips and, more significantly, to my lungs. The surgeries, extensive chemotherapy, and radiation that I went through back then, plus the on-going hormone therapy, didn't do the trick. And so now, in my mid 50's, I'm terminally ill. It often doesn't seem real, yet it is. But there's so much more that I want to do – I am not ready to go! The debate worries and scares me on several levels. Fortunately we just don't go around killing each other any more, so the notion that it's a person's "free choice" to die just doesn't make sense. Recognising the full scope of human dignity, we stopped capital punishment a long time ago. Now bringing in legislation that allows a group of experts to determine who can "legally" die, seems a retrograde move. Intellectually, that worries me. And once the legislation has been approved, experience tells us that it is likely to grow exponentially. I can imagine a time when particularly frail and vulnerable people will succumb to the thought that it might be best for their families and for society in general for them to let go and die – they will agree to something because they think they ought to. That scares me. I have always been an extremely private person, so the thought that my increasingly frail body will need intimate help does not thrill me. But just as I cared for and loved my friend in all her messiness and fragility, I will have to let others care for and love me in the same way. There is nothing undignified about that. So my experience of being a primary carer tells me that as I'm dying, the presence of people who have the emotional capacity to sit with me during long hours, who have the strength to continually stroke my arm, to bring me cups of water in the night, to tell me that they love me and to stay with me even if it seems that I am no longer present to them is of beyond measure. I'm sure that I will know their voices, and that I will know their touch. So as the doctors relieve my physical pain, I trust that my family and friends will abide with me so that just as I have lived, so will I die, with integrity and grace. In November 2016, South Australia debated and defeated a euthanasia bill and the Australian Medical Association re-affirmed its opposition to euthanasia and assisted suicide. 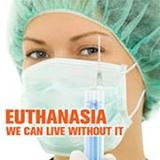 Paul Russell and Hope Australia have once again prepared an effective opposition to the proposed euthanasia legislation. Thank you Julie for expressing your real fears about euthanasia. How many people have died by euthanasia in Canada? The Globe and Mail published an article by Kelly Grant featuring a BC couple who wanted to die by euthanasia together, but ended up dying by euthanasia four days apart. I had hoped that the pro-euthanasia propaganda media articles would lessen now that euthanasia is legal in Canada, but in fact the media continues to ramp up the propaganda. Nonetheless, the Globe and Mail article states that at least 784 people have died by euthanasia in Canada since June 2016. On December 29, I reported on a CTV News article stating there were at least 744 people who died by euthanasia since June. Both articles clearly state that there could be more and both articles use data from a Québec report that was published more than two months ago, on November 1. I believe that the number of euthanasia deaths will continuously increase as long as the media continues to publish articles promoting euthanasia and assisted suicide. 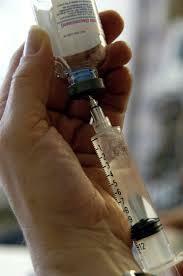 The Globe and Mail report has under-estimated the number of euthanasia deaths in Québec. Further to that, the government monitors "assisted death" with a self-reporting system. The reporting system requires the doctor or nurse practitioner who carries out the euthanasia to also report the death. The Netherlands and Belgium also employ a self-reporting system to collect data on euthanasia. Based on studies, it is estimated that (20% - 23%) of all euthanasia deaths in the Netherlands are not reported and more than 40% of the euthanasia deaths in Belgium are not reported. Underreporting of assisted suicide also occurs in Oregon and Washington State. The only way to uncover abuse of the euthanasia law is through family and friends who are willing to share their story. Several stories have already been uncovered. If you are willing to share information about the euthanasia death of a family member or friend please call Compassionate Community Care at: 1-855-675-8749. EPC looking for a story for our next documentary. If you seriously considered dying by euthanasia or assisted suicide or felt pressured toward an assisted death, please call us at: 1-877-439-3348. 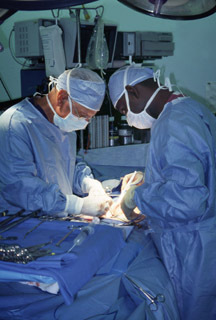 Canadian bioethicists call for organ donation euthanasia. “MAID (medical aid in dying) has the potential to provide additional organs available for transplantation. Accepting to procure organ donation after MAID is a way to respect the autonomy of patients, for whom organ donation is an important value. Organ donation after MAID would be ethically acceptable if the patient who has offered to donate is competent and not under any external pressure to choose MAID or organ donation”. However, they insist that the decision to donate should be separate from the decision to be euthanized. They point out that such a policy could have a negative impact upon the public’s perception of organ donation, so they urge that further studies be done. Considering that a request for medical help in dying is a right, that organ donation is socially acceptable and it is an express request of the patient, and considering that the Commission [Commission de l'éthique en science et en technologie] has always praised organ donation in preceding position statements, the Commission recommends that all the institutions responsible set in place the necessary conditions for making these two requirements compatible. Allard and Fortin contend that organ donation euthanasia will always be a rare option, because most patients who request euthanasia are dying of cancer, which would normally make them unsuitable as an organ donor. As a policy, it has only been rolled out in Belgium and the Netherlands. Between 2005 and 2015, 21 Belgians donated organs following euthanasia. The Dutch lag behind, but so far 15 patients have asked to donate organs following euthanasia. What is the ethical reasoning behind such a procedure? It is based upon respect for the patients’ autonomy. Several countries, including Canada and the USA, believe that a person who is able to give free and informed consent (or refuse such consent) is entitled to decide what will happen to his or her body. Allard and Fortin acknowledge that there might be some ethical complications. Patients might feel that they are a burden and could only be useful if they were to give their organs. This would constitute a subtle form of coercion. However, Allard and Fortin are confident that this can be overcome. It will be difficult to disentangle patients' motivations for requesting MAID, but the complete separation of the two decisional processes should help to ensure that the MAID request is motivated by unbearable suffering, as required by law, and not by the feeling that one's value is limited to one's organs. Of all the bad ideas associated with euthanasia, this must be one of the worst. The potential for exploiting vulnerable people is immense. Imagine that you have recently become a quadriplegic after a motorcycle accident. You are lonely, frustrated, discouraged; you think that life has no meaning, that you are a useless encumbrance on your family and society. You don’t believe the doctors who insist that paraplegics can and do live fulfilling and happy lives. One day, from your hospital bed you see a TV program in which a transplant surgeon praises the unforgettable generosity of So-and-so whose life was not worth living but found a way to give life to others, etc, etc. Wouldn't you think of ringing up the doctor and asking him how to go about it? It could get even worse. What if organ donation organisations promoted an standard advance directive which instructs your next-of-kin to arrange for organ donation euthanasia if you become seriously demented? There is no reason why this could not happen. In Belgium, demented people can be euthanized and organs are being accepted, even from elderly people. That would clean out the nursing homes and shorten the kidney waiting list. How is Canada going to stop this from happening? Michael Cook is editor of MercatorNet. An earlier version of this article was published in BioEdge, which he also edits. 2017 will be an active year for those who protect people from assisted suicide. EPC - USA has organized an Assisted Suicide Training Session to provide you with the tools to fight assisted suicide in your state. The assisted suicide lobby has identified at least 26 states where they plan to introduce bills or launch a court case to legalize assisted suicide in America. The states include: Arizona, Connecticut, Delaware, Hawaii, Indiana, Iowa, Kansas, Maine, Maryland, Massachusetts, Michigan, Minnesota, Mississippi, Missouri, Nebraska, Nevada, New Hampshire, New Jersey, New York, North Carolina, Ohio, Pennsylvania, Rhode Island, South Dakota, Tennessee, and Utah. There will also be a federal debate as to whether the District of Columbia assisted suicide law will be overturned. The event begins at 6 pm until 9 pm and is followed by the screening of the Euthanasia Deception documentary. We have limited seating. To book your seat at this event. (Link). Ontario nurse faces six more charges. 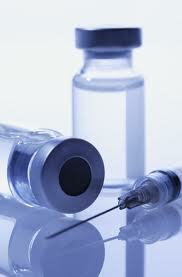 Is legalizing euthanasia more dangerous? 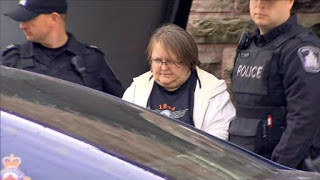 On October 25, 2016, EPC reported that Elizabeth Wettlaufer, 49, a nurse from Woodstock, was charged with 8 counts of first degree murder in what is being defined as possibly the worst case of a seriel killer in Canadian history. EPC responded to this news by demanding an in-depth investigation into care homes in Canada, especially now that euthanasia is legal. Wettlaufer is now facing six more changes related to the abuse of patients in Woodstock and Paris Ontario. It is important to note that Wetlauffer's alleged acts of murder were not uncovered by an investigation or by "quality control" but rather by a tip received by Wettlaufer's psychiatrist. Further to that, on December 7. the London Free Press reported that Susan Muzylowsky, a nurse who worked at the Mount Hope Centre for Long Term Care in London ON confessed to charges of professional misconduct relating to 19 patients. 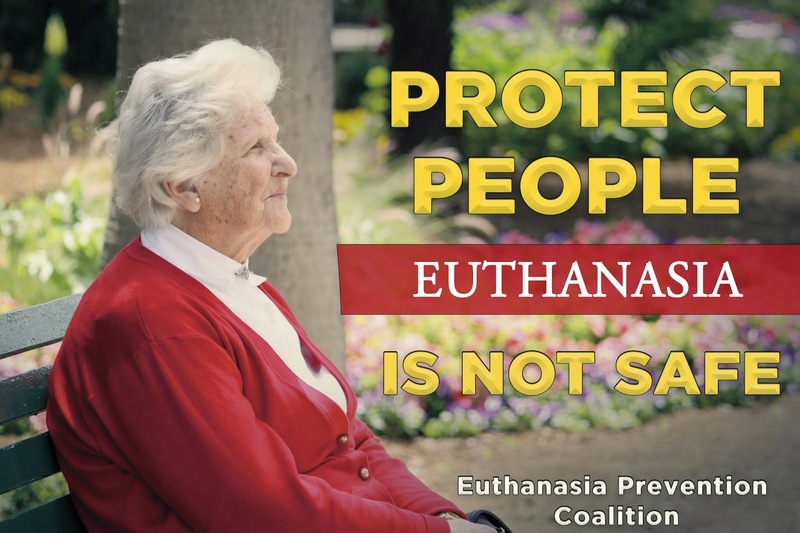 As Executive Director of the Euthanasia Prevention Coalition, I regularly receive calls from people who believe that their loved one was prematurely killed or neglected in a hospital or nursing home. These cases are frustrating because, based on privacy, it is nearly impossible to prove that such an act has occurred and the financial and personal costs associated with gaining justice is prohibitive. I am convinced that Elizabeth Wettlaufer is one of many "care-givers" who have caused the death, neglected or abused patients in care homes. In fact, I am convinced that if an honest, third-party, in-depth investigation was done into the care of vulnerable persons in Canada that a significant number of horrific cases would be uncovered. Now that euthanasia is legal in Canada, should you be concerned? There is no effective oversight of the euthanasia law. 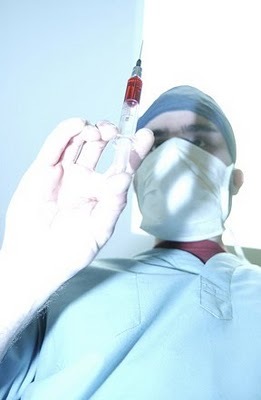 If a person dies by euthanasia, the reporting procedure requires the doctor or nurse practitioner who did the lethal injection to submit a report to the authorities. Therefore, the person who causes the death is required to self-report of the death. There is no effective oversight of the law. Section 241(3): No person is a party to an offence under paragraph (1)(b) if they do anything for the purpose of aiding a medical practitioner or nurse practitioner to provide a person with medical assistance in dying in accordance with section 241.‍2. No other jurisdiction in the world provides this level of blanket immunity for euthanasia. Legalizing euthanasia in Canada has given medical professionals the ability to cover up acts of murder, abuse, negligence or medical error. This article was written by Paul Russell, the Director of HOPE Australia, and published by HOPE Australia on December 31, 2016. A citizen's initiative to raise the issue of euthanasia in the Finnish Parliament (Eduskunta) has passed the requisite 50,000 signatories required to trigger a parliamentary debate. As in many countries, Finland has been dicing with euthanasia for some years now. 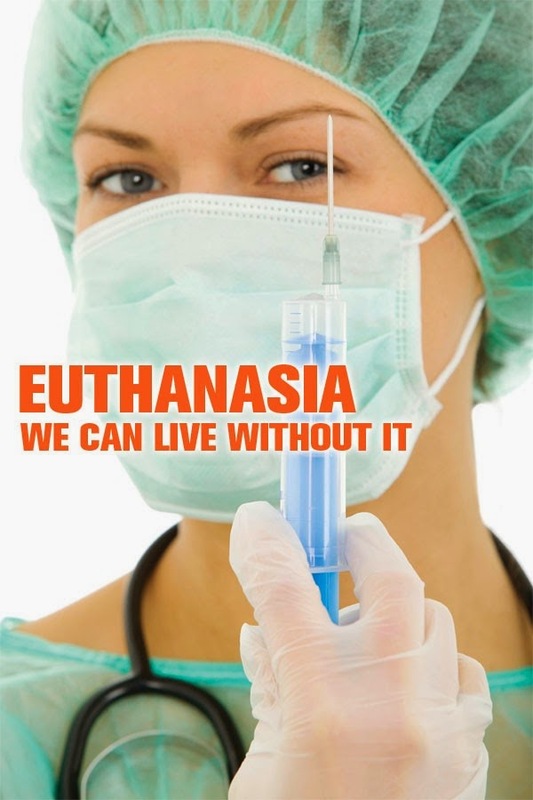 The pro-euthanasia lobby, Exitus has been active since the early 1990s. As in many countries, the notional public support for euthanasia is above the two-thirds mark. Support amongst the nations doctors has also been steadily increasing in recent years with support and oppose numbers in the medical profession both at 46% in 2014. As with all Finnish Citizen's Initiatives, the 'Euthanasia initiative includes a prescription of the form of the Bill to be debated. The presented model is for euthanasia for people experiencing an 'incurable fatal disease, and death takes place in the near future'. The registered signatories now exceed 62,000 which should ensure that, after exclusion checks, that a formal bill is developed and that the parliament is compelled to move to a vote. The sponsor for the initiative is former Finnish MP, Esko Olavi Seppänen. Seppänen, a member of the Left Alliance Party and earlier the Finnish Communist Party, he was also a Member of the European Parliament from 1996 to 2009 as a Member of the European United Left/Nordic Green Left (GUE/NGL). 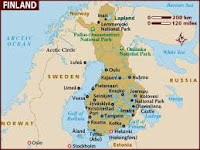 The Finnish Medical Association is opposed to the initiative. Association head Heikki Palve said that the majority of palliative care doctors working with dying patients object to legalising euthanasia. A 2010 survey of doctors attitudes found that, in their opinion, more training on palliative care would diminish requests for active euthanasia and improve physicians’ skills in dealing with the difficult challenges faced in end-of-life situations and care. Timo Soini, the chairperson of the Finns Party, has confirmed his intention to vote against the citizens' initiative to legalise euthanasia in Finland. Finns is the second largest party in the four-party governing coalition in Finland and has a socially conservative base. Amongst its coalition partners both the National Coalition and the Centre Party hold within their ranks notional majorities of socially conservative MPs. It is not clear at this time when a bill will be tabled for debate. Congress will vote to protect people from assisted suicide in DC. District of Columbia Mayor Muriel Bowser signed the assisted suicide bill on December 19. The US Congress has 30 working days to vote NO to assisted suicide in DC. Petition: I support H.J. Res 27 to reject the DC assisted suicide act. It is not clear if Congress will approve the legislation. It has blocked D.C. legislation before, most recently the city's recreational marijuana law. Under the Constitution, Congress has to sign off on all D.C. laws. 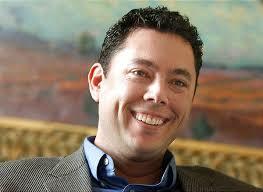 Rep. Jason Chaffetz is doing the right thing. Assisted Suicide is dangerous public policy, preying on people who are not necessarily dying, such as diabetics and is open to elder abuse, disabled abuse, death because of wrong diagnosis, suicide steering and suicide contagion. Having this law in our nations' capital is a black eye on our country. Massachusetts Judge urged to dismiss assisted suicide court case. In late October 2016, two doctors filed a court case challenging the Massachusetts assisted suicide law in order to give them the right to prescribe lethal drugs for assisted suicide. Patricia Wen of the Boston Globe reported, on January 9, that Attorney General Maura Healey and Cape & Islands District Attorney Michael O’Keefe urged the judge to dismiss the case based on the principle that issues, such as assisted suicide, are properly decided by the legislature and not the court. Dr Roger Kligler, who has metastic prostate cancer, is the plaintiff in the case and Dr. Alan Steinbach, also from Cape Cod, is willing to prescribe lethal drugs to Kligler or others who, if proven mentally sound, want to die due to their terminally ill state. Dr Kligler has not been deemed to be terminally ill.
Kligler and Steinbach are acting on behalf of the suicide lobby group, Compassion & Choices. Compassion & Choices failed in New Mexico, Connecticut, Tennesee, California and New York with similar court cases. The Massachussets Superior Court should reject this case and honor the results of the voter initiative whereby Massachusetts residents rejected assisted suicide in 2012. This article was published by True Dignity Vermont on January 6, 2017. Peter Shumlin, the outgoing governor of Vermont, fought hard to legalize assisted suicide in the state; so it was no surprise when he listed it among other “accomplishments” in his farewell speech this week. A big surprise, however, came when the governor revealed that his own father died from assisted suicide. (Link to Youtube video) comments begin at minute 54:50. Bristling with pride, Shumlin said that never in his wildest dreams did he imagine that his own father would die in this way. In May of 2011, however, True Dignity commented on a speech he made at a VT showing of the film “How to Die in Oregon”. The speech can be viewed at (Link to youtube video) comments begin at Minute 1:40. Speaking about how much he hoped VT would enact legal assisted suicide, he actually used his parents as illustrations of why he felt legalization was important. We were offended by the governor’s filmed jokes about how his apparently healthy but aged parents haven’t responded as he would have liked to his attempts to have “the conversation” to plan for their dying (in the video the audience laughs when he says he asked where they planned to be in ten years). … We need….to fight against the seduction of his not so soothing words about how Vermonters “take care of each other”, when he speaks words like these in the context of a conversation about assisted suicide. In 2017 we are even more offended than we were in 2011. It is hard to believe that any governor would brag about facilitating a single suicide in his state. It is even harder to hear that governor brag about facilitating the suicide of his own parent. Back in 2011, we were sorry for and feared for Peter Shumlin’s parents. It is self-evident to us that any suggestion that suicide is a viable end of life option for another person is itself pressure and can never be anything else If we heard the words Shumlin spoke in 2011 from one of our adult children, we would feel pressured, and we would not forget. No act done under pressure, even the most well-meaning pressure, is ever completely free. We hope one day to live again in a state in which the sick and elderly are legally protected from such pressure, however well-meaning or inadvertent. Our new governor, Phil Scott, voted against legal assisted suicide when it was passed in 2013. Let’s ask him to work for its repeal now. Contact information will follow in the coming weeks.